An Illinois House committee voted Tuesday on a bill already passed by the state Senate that will allow the state to start spending $5 billion in available federal money. The plan once enjoyed bipartisan support, but an amendment authorizing state money for human services drew the ire of Republicans. Democrats who support the amendment say that the services are critical. Gov. Bruce Rauner and Republicans in the assembly are accusing Democratic House Speaker Michael Madigan of pushing for an amendment to the bill that they call a "poison pill." Below, some highlights from our discussion with Chicago Tonight's Amanda Vinicky. When it got through the Senate with zero “no” votes, that’s when it was just a $5 billion bill. What has become the bigger issue is tacking on an extra $1.5 billion. Some of that is federal money that House Democrats say was mistakenly left off and that even Republicans had requested be added back. But a third of that is state dollars and that’s what the Republicans are protesting. Republicans say it’s because Illinois doesn’t have the money, that this will lead to another unbalanced budget and this is just a back-door way for Democrats to fund all of the programs that they want without raising any revenue. 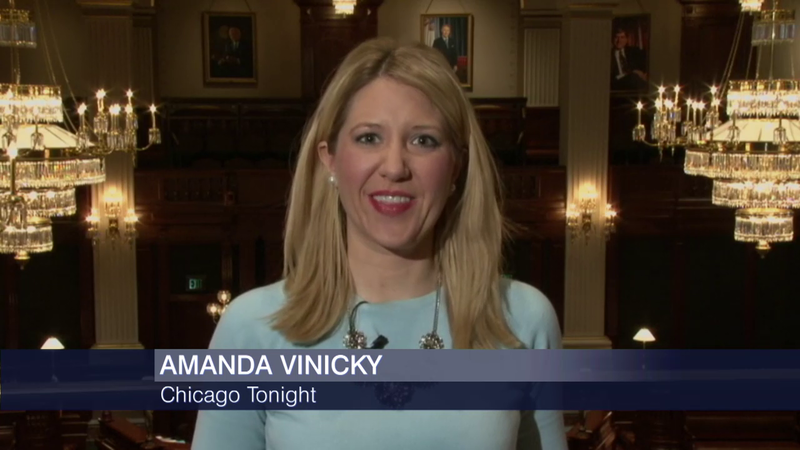 Democrats say that that revenue discussion hasn’t been had, that Governor Bruce Rauner and the Republicans are so focused on these outside elements, the so-called ‘turn-around agenda,’ that they’re not even talking about the budget. So both sides are really accusing the other of playing politics. Just before Illinois’ new fiscal year began the governor vetoed all of the budget bills that Democrats had sent him with the exception of one, the education budget. Democrats say that that shows that, to the governor, education is more important than human services. These are really the places, the agencies, that are being hurt by a lack of any state budget now that we’re seven weeks into not having one. And Republicans say that the governor is using these as a sort of gambling chip for these outside initiatives. The committee did pass it with all Democratic votes. Most of the Republicans voted present. They didn’t say no exactly -- that would look bad and could be used against them later on. The House is scheduled to take it up for a full vote on Wednesday. Interview highlights represent a condensed version of our conversation with Amanda Vinicky. Watch the video to see the full discussion.